As a young woman, Colette was locked in her room by her husband and ordered to ghostwrite a novel that would be published under his name. Colette, the film, is the story of how she reclaimed the authorship of her work — and her life. 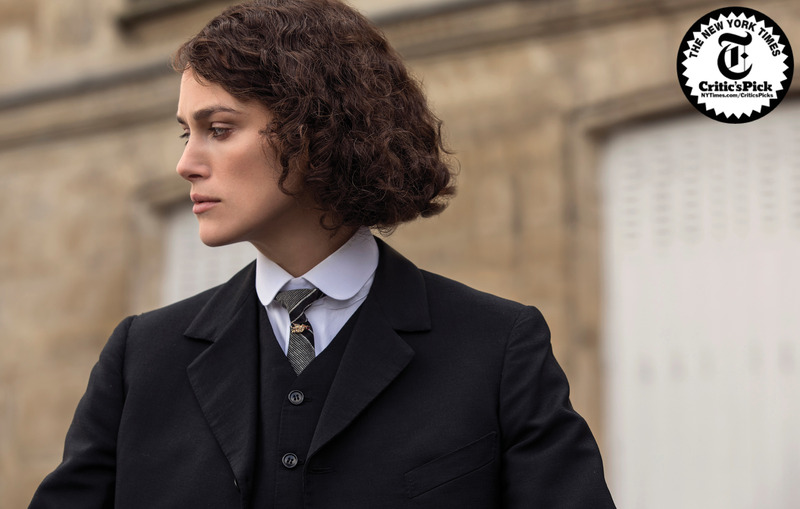 Keira Knightly stars as the writer who electrified Paris in the 1920s and revolutionized literature, fashion and sexual expression. This screening is part of HEROES, ICONS, DISRUPTERS: Women Who Made a Difference on Sunday May 5th at the Burkirk-Chumley Theater. The day-long program begins with Peggy Guggeheim: Art Addict at 2pm, followed by Colette (4:15) and concludes with Ask Dr. Ruth (7pm).. Tickets for individual films are $10 in adv; an All-Day Pass is $15 in adv.